Wolf Consulting, LLC. ranks among Western PA’s Best Places to Work, according to the Pittsburgh Business Times 2018 annual list and survey. 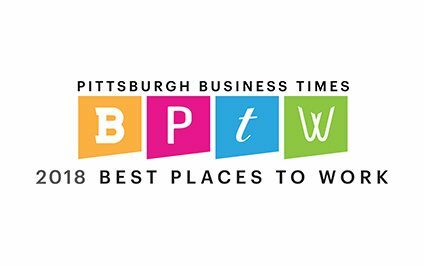 The 2018 list of Best Places to Work in Western PA is based on data collected by the Pittsburgh Business Times and its partner Quantum Workplace. Data was collected earlier this year via anonymous surveys completed by employees from thousands of companies throughout Southwestern PA. Survey questions covered a variety of topics, including: Communication and Resources, Individual Needs, Manager Effectiveness, Personal Engagement, Team Dynamics, and Trust in Leadership. The companies named as Best Places to Work are those who scored the highest across all of the survey categories. These companies will be honored by the Pittsburgh Business Times at a luncheon on Friday, October 19, 2018 at the Westin Convention Center Hotel in Pittsburgh. Wolf Consulting, LLC is Pittsburgh’s trusted leader in computer support and cloud services for small and mid-size businesses. Wolf Consulting has been in business for more than 29 years, and is headquartered in Monroeville, PA. For more information, visit www.WolfConsulting.com.